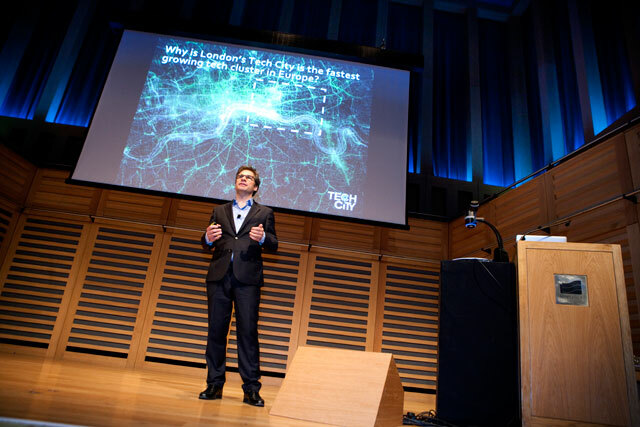 Yesterday saw the launch of JCDecaux's tech hub, a one-stop online location for all the latest news, events and information on London's tech capital. EC1 is home to London’s booming tech community, with new, upcoming tech entrepreneurs like Uber and Makielab alongside established businesses, such as Songkick, Amazon and Google. JCDecaux and Brand Republic’s online hub will celebrate EC1’s vibrant and entrepreneurial spirit, as well as keeping readers up to date with exactly what’s going on. At a technology breakfast hosted by JCDecaux this morning, delegates were treated to key presentations from Gerard Grech, CEO Tech City; Mark Adams, director theAudience; Ian Berriman from PA Consulting Group and David Keene, head of marketing, Northern, Central and Eastern Europe at Google. All spoke of EC1's part to play in nurturing, shaping and growing the future of technology and innovation, both in the UK and further reaches of the globe. "It was the culture of London that inspired us to ever the think the way we do," said Mark Adams, talking about the city’s role in setting up theAudience. "I don’t think it would have happened in a different city." The event also showcased wearable tech Vuzix, Google Glass and Oculus Rift, as well as a rendition of the new Old Street EC1 digital media location in Lego. It also previewed exclusive new technology including the iBeacon, an indoor proximity system that can send notifications to nearby devices.